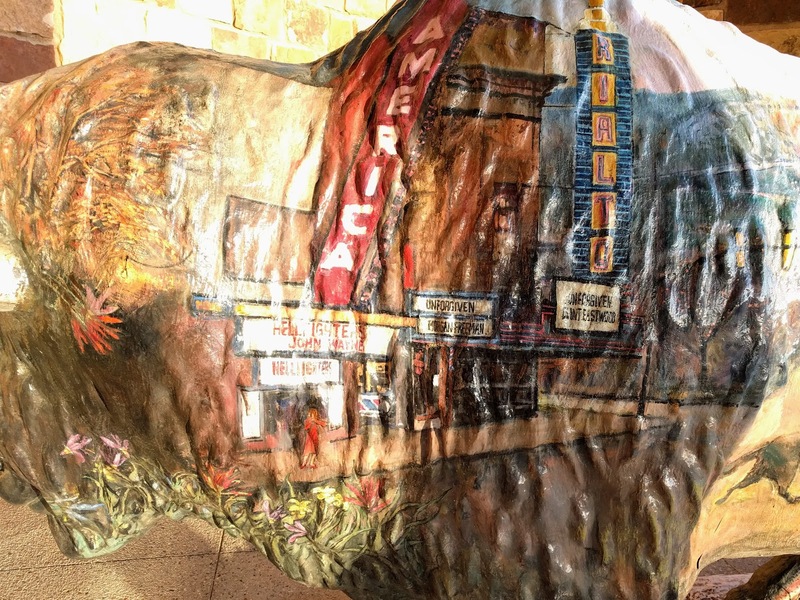 If you’re seen Richard Dreyfuss’ mashed potato statues, you know that Westerns aren’t the only films set in Wyoming. But some of the greatest Westerns ever made are set in Wyoming. Sadly, most of them weren’t filmed in Wyoming. Still, here are a dozen Westerns, from the great to the comic to the downright strange, set in the state of Wyoming. Starting with the great: 1992’s Unforgiven was the third Western to win the Oscar for Best Picture, and it was a year the Academy got it right. Clint Eastwood was nominated for Best Actor and won the Oscar for Best Director. Gene Hackman also took home an Academy Award for Best Supporting Actor. The film doesn’t feature a church of any kind, but the theme of the film is quite Biblical: justice. I have a friend, Tim Stafford, who edited God’s Justice Bible, and he argues that justice is the most important theme of the Bible. Unforgiven is about the pursuit of justice, and perhaps about the impossibility of men achieving it. The film opens with a prostitute being attacked by one of her customers. The cowboy slices her face with a knife, which greatly decreases her “value.” The town sheriff, Little Bill (Hackman), decides on a “just” punishment -- the cowboy will pay the pimp for his loss of “property” with ponies. The other women in the brothel think death for the cowboy is the just punishment and set up a bounty. Eastwood plays a retired assassin who tries to collect the bounty, setting in motion a bloody sequence of events that make everyone question what we “deserve” in this life. The first film I saw as a kid that was not G-rated was Butch Cassidy and the Sundance Kid, back in 1969. At the time, the film was rated “M", a rating that didn’t last long after that. The blend of action and comedy and the teaming of Robert Redford and Paul Newman delighted large audiences (including me). But though the real Butch, Sundance and the Hole in the Wall gang worked out of Wyoming, the film was shot in Utah and New Mexico. 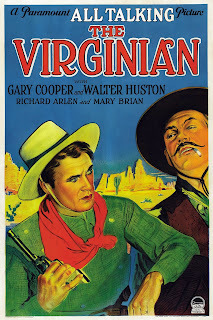 One of the first successful talkie Westerns was 1929’s The Virginian. Gary Cooper played the title character, who comes to Wyoming. It was the film that provided the origin of the phrase “If you want to call me that, smile.” This was the third version of the film, but the first two versions were silent. The Virginian was remade in 1946 with Joel McCrea, but none of the versions were filmed in Wyoming; all were made in California. 1952’s Rancho Notorious by the great German director, Fritz Lang, captures the Western spirit as one would expect from someone from the Weimar Republic. It also has a rather strange performance by Marlene Dietrich as Altar Keane, a former saloon keeper who founds a criminal hideout named Chuck-A-Luck. Like the vast majority of Hollywood studio films, it was made in California -- which subs for Wyoming. 1955’s White Feather is based on a true story of an attempted peace mission from the U.S. Cavalry to the Cheyenne in Wyoming. Robert Wagner was barely believable as a Cavalry officer, but much worse was the casting of Caucasians as Native Americans. Debra Paget plays “Appearing Day,” Jeffrey Hunter is “Little Dog,” and Hugh O’Brian portrays “American Horse.” Not even Wyoming is played by the correct nationality, since it was filmed in Mexico. 1965’s Cat Ballou won an Academy Award for Lee Marvin in the dual roles of an evil gunman and a drunk. Unfortunately, Wyoming was portrayed by Colorado. In 1967’s The Ballad of Josie, Doris Day plays a Western hero in a feminist tale, and California plays Wyoming. While Unforgiven portrayed an Old West brothel as a grim and desperate place, 1970’s The Cheyenne Social Club is run by the delightful Shirley Jones in a brothel as a cheery place. Dancer Gene Kelly directed the film. A brothel as a social club is no more convincing than New Mexico’s portrayal of Wyoming. 1980’s Heaven’s Gate is a very fictional story based on Wyoming’s Johnson County Cattle War. But the film is known much more for its finances than its storytelling. Director Michael Cimino, fresh from his success with The Deerhunter, was given carte blanche on budget to make his dream project. 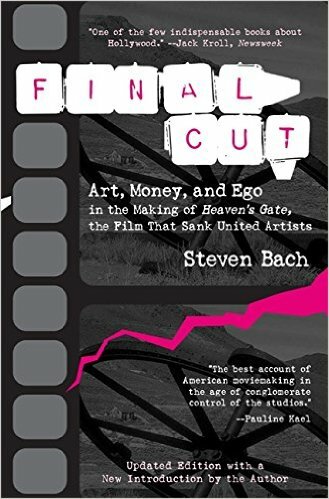 But his ridiculous devotion to “accurate detail” drove up the budget, and when the film flopped it bankrupted the studio, United Artists. If Cimino was really so concerned with accuracy, why did he film in Idaho and Montana rather than Wyoming? Last year, another beloved auteur, Quentin Tarantino, risked a great big budget on a star studded Western, The Hateful Eight. But again, after setting the film in the state of Wyoming, he didn’t film there. He filmed in Colorado. 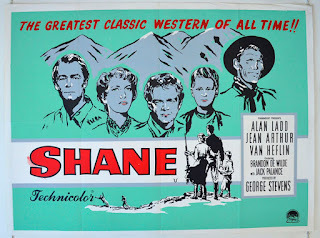 One classic Western film, director George Stevens’s Shane (starring Alan Ladd and Jean Arthur), was set in Wyoming and actually filmed in Wyoming (in the Grand Tetons). It won one Oscar, for Cinematography. But it also made the American Film Institute list of the hundred greatest American film, landing in slot #45, ahead of Unforgiven. If you go to Glacier National Park, you'll know why Cimino shot there. Stunning landscapes. If you have a chance and want to pursue your Heaven's Gate interest, hit the Conrad Mansion in Kalispell. It was used as the stockman's club in the film. If you know Studios it is a rule to not shoot where it takes place, Los Angeles excepted it seems. 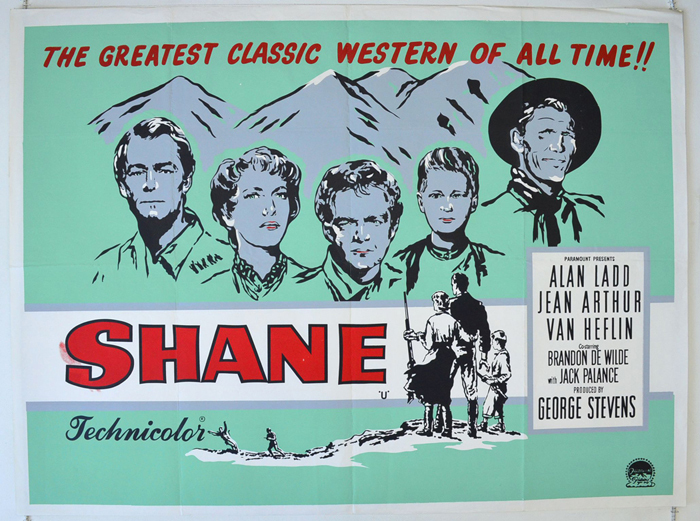 SHANE holds up well; there's evn a jump-cut i noticed--in the saloon..